Terry Swett of Columbus Nebraska grew up small game hunting with family and friends. Twenty years ago he bought his first bow that now has become a passion that not only does he love to do, but also his wife and kids share in the same love of the sport. Along with his wife Geri and daughters Abbi and Landri they bought their first farm and hunting ground 8 years ago. They realized that the planning and planting of foods plots and running cameras is as much fun as the hunting. 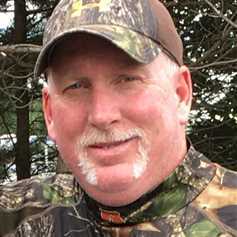 Now working with Mossy Oak Properties Terry hopes to fulfill everyone else’s dreams of becoming land owners and enjoying in the same passion as he and his family does. Terry looks forward to working with and helping others find the best property and share his experience as a hunter and conservationist.